Facebook & Twitter readers should look at manxgeocaching.com for the full story. It’s the time of year when we all look forward to some summer sunshine and fun on a family holiday. We thought you may wish to know of some very unique and exciting geocaching events designed specifically with that in mind. “The true spirit of Piratemania is best enjoyed in full pirate clobber”, however these are REAL pirates! We start on 29-30-31 July with Piratemania. The best and biggest annual UK camping event, now in its 9th year. The main event day is Saturday 30th July and is held at the West Midlands Showground. Gravel Hill Lane, Shrewsbury, Shropshire, SY1 2PF. On Sunday 31st. July the fun moves to Ashridge in Kent for return of the GEOLYMPIX. An International Celebration of Geocaching, inspired by a certain sporting event. While it’s not a competitive game/hobby/pastime/obsession as such, we know lots of cachers like to stretch – or challenge – themselves and we’re setting up caches, series and events to help you do just that around the Geolympix. The woodland site is GeoDog and GeoKid friendly and there are toilets and parking for those less able very close to the event. “We pride ourselves on being very welcoming to new cachers and those new to cache events.” There is also more on offer for visitors to the area a lot more than just (just?!) caching. Landmarks and tourist attractions for the non-cachers in the family who may enjoy the nearby, free-to-visit, sites such as Berkhamsted Castle, picturesque Aldbury (as seen in Midsomer Murders & various films), Tring’s outstanding Natural History Museum and/or Pitstone Windmill. 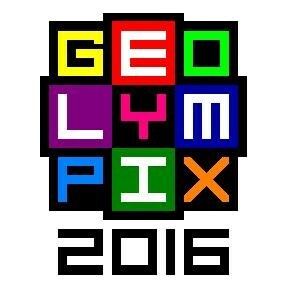 The Geolypix opens at 9 a.m. until 9 p.m. but there is Night Caching to be had between 9 – 11 p.m. This IS the event NOT TO BE MISSED as it also is the UK debut of the GPS MAZE, a very rare prize for all geocachers worldwide. The Mega day on Saturday 6th August 2016 is held at the iconic, world-famous Pafiliwn Llangollen Pavilion the home of the International Eisteddfod. Nestling in the glorious countryside of the Dee Valley Area of Outstanding Natural Beauty, Llangollen is an inspiring World Heritage Site. The stunning location of the 9th. annual UK Mega event – Pafiliwn Llangollen Pavilion. Taking place in one of the main rooms in the Llangollen Pavilion, the exhibit is being redesigned and updated for the UK to include local statistics and UK specific content. It will consist of a number of zones through which you can make your way and experience the interactive exhibits. Your journey past the various displays and interactive models will be fun and informative. It will also be an opportunity to meet other geocachers attending from all over the world. There will be various exclusive items, such as coins and t-shirts, especially made for this UK event, available for purchase from the CAGeo team on the day or from their website. The new geocache listing for GPS MAZE EUROPE – United Kingdom has now been published, visit GC66HYC to submit your “Will Attend” log!